Challenging and unsettling their predecessors, modern choreographers such as Matthew Bourne, Mark Morris and Masaki Iwana have courted controversy and notoriety by reimagining the most canonical of Classical and Romantic ballets. 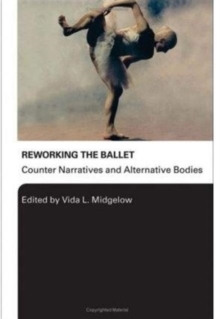 In this book, Vida L. Midgelow illustrates the ways in which these contemporary reworkings destroy and recreate their source material, turning ballet from a classical performance to a vital exploration of gender, sexuality and cultural difference. Reworking the Ballet: Counter Narratives and Alternative Bodies articulates the ways that audiences and critics can experience these new versions, viewing them from both practical and theoretical perspectives, including:eroticism and the politics of touchperforming gendercross-casting and cross-dressingreworkings and intertextualitycultural exchange and hybridity.